I was asked by a friend in-game on how to add a symbol or logo on a Wooden Storage Chest and that is why I created the video below. In my mind, if one person asked then I'm sure others might be asking the same question and I want to help them. 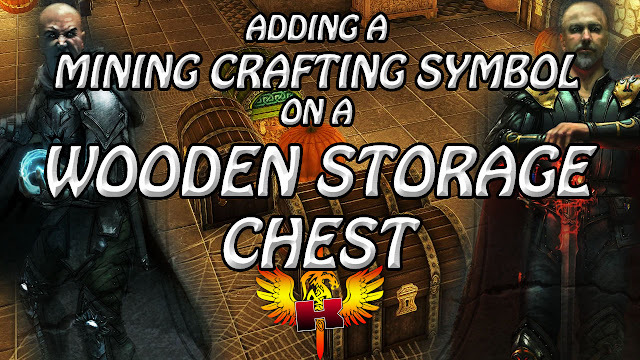 Watch the video below to see me add a Mining Crafting Symbol on a Wooden Storage Chest.